Is the home structurally and mechanically functional. Should small things be repaired or replaced now to prevent large expenses in the future. You need a Home Inspector that understands your needs, puts themselves in your shoes and looks out for your best interest. Welcome Home Inspection Services is dedicated to providing professional, high quality inspections for new home owners, new home buyers, re-sale home buyers and home sellers. I just wanted to take a moment to sincerely thank both you and Sue for providing outstanding customer service. John, your inspection process was exemplary in every way, and I am so impressed with your thorough and complete understanding and expertise conducting home inspections. You have instilled confidence in me as a first time home buyer. I appreciate the care and time you took to go beyond my expectations with your work. 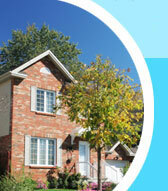 We are committed to providing you with impartial and quality information to assist in your buying or selling decision. All Welcome Home Inspections meet or exceed the Standards of Practice of the Canadian Association of Home and Property Inspectors ( CAHPI ) and the Ontario Association of Home Inspectors ( OAHI ), the most comprehensive standards in Canada. Our residential home inspection will help answer questions about your home and provides an objective plan for potential repairs or replacement items now or in the future. At the end of the inspection, you will receive your detailed, easy to read Home Inspection Report that will help you make this important decision.